In today's post on our Indian Art form series, I'm gonna talk about the art of paper cutting or better known as Sanjhi. 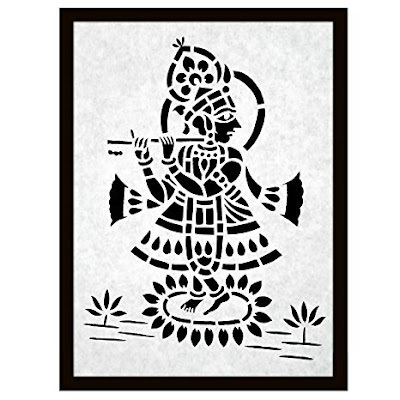 Like the name itself suggests Sanjhi or paper cutting art is an art of paper cutting. The paper is cut in a way that the paper holds together and yet it shows a beautiful intricate pattern on it. For the complete tutorial on Sanjhi, watch the video below. Sanjhi is practised in Mathura and Vrindavan in Uttar Pradesh in India. Though the paper cutting work is done all across the world, Sanjhi is little different. Sanjhi is said to have originated around 400-500 years ago in the 16th or 17th century. So like all the other Indian Artforms I have shared here previously, this art form is also very ancient. Some craftsmen believe that Sanjhi word is derived from Saanjh or Shaam which means dusk, the time of day when temple floors are decorated using these stencilled papers and on the other hand, some craftsmen believe that Sanjhi word is derived from saaj-sajja or sajavat which means decoration because these papers are used to decorate temple floors. Since it is a traditional art form of Mathura, the birthplace of Lord Krishna, the theme mainly depicts the life of Lord Krishna and his leelas. Temple floors and walls are decorated using these stencilled paper and rangoli (powdered colors). This art form is highly refined so it is mainly done by the Brahmin priests. Nowadays only a few families to be precise only 14 or 15 families are there in Mathura and Vrindavan who practice this art. If you are interested in seeing Sanjhi in temples then Radharaman temple in Vrindavan is the place where you can see this art. It is believed that Radhe (Radha) used to decorate her walls and floors using colored papers, foils, colored stones and flowers and leaves to woo Krishna and then all the other Gopis followed the suit. But during the Mughal period, the art form began to depict more scenes like Mughal architecture, floral and geometric patterns and various other scenes. Like I said earlier, it is an art of paper cutting so only paper, specially designed scissors and sometimes blade is used to cut paper and then intricate mythological figures, floral and geometric patterns are cut into the paper. 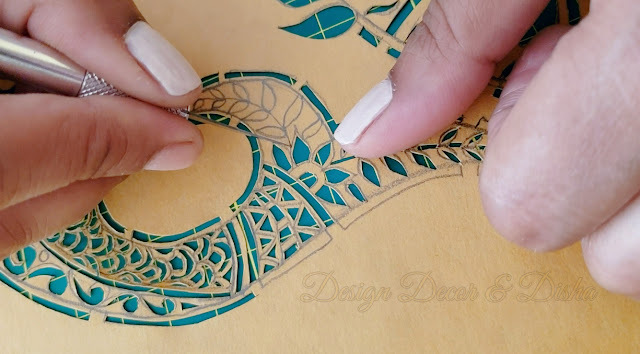 And here I would like to share an amazing fact that in its traditional form, craftsmen don't draw or trace the design on the paper they would just make the paper cutting directly on the paper and it is done precisely that you wouldn't be able to find any flaw. Here I would like to mention two names who are still reviving this art form and keeping it alive. They are Mr Mohan Kumar Verma and Mr Ram Soni. 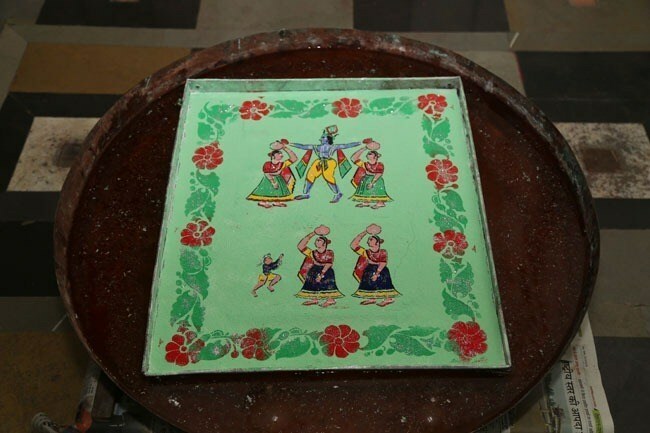 They are fourth generation Sanjhi artists. 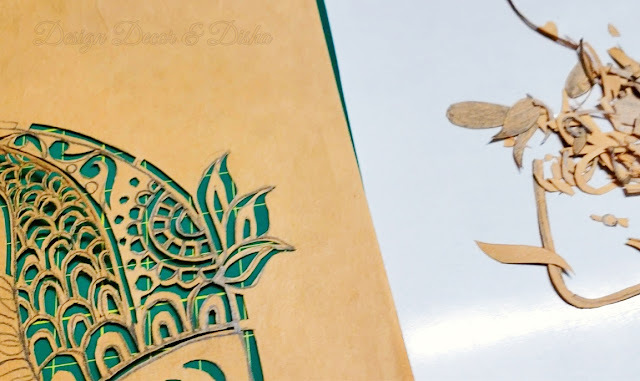 Below are the supplies you'll need to make paper cutting artwork. For paper cutting art you will obviously need a paper. It can be a handmade paper, good quality printing paper, watercolor paper or any paper from 90 gsm to 385 gsm. But remember the thinner the paper is, the easier it is to cut but that will increase the chances of making mistakes. The thicker the paper is, the harder it is to cut but then there will be fewer chances of tearing the paper accidentally. I'm using 120 gsm A4 size scrapbooking paper. You will need self-healing cutting mat so that your work surface is protected. Otherwise, you'll end up making the surface of your desk full of scratches. I would suggest you get the bigger mat as having a bigger cutting mat gives you enough working space and allows you free hand movement while cutting the paper. The mat given below has grid and patterns marked on both sides. This is a must-have item for a crafter or for people who love DIYs. You will need a scalpel for cutting paper. So make sure you have some spare blades too in case you need them during the process. Keep all the spare blades safe in a case to protect yourself from accidental blade cuts. You will need a pencil to draw a design on the paper and ruler to cut straight lines. 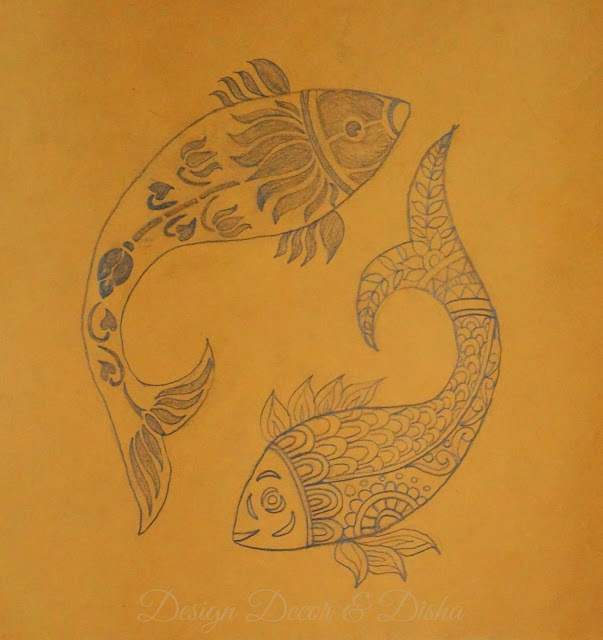 Place the paper on the work surface and for design either you can draw your own design like I did. If drawing isn't your cup of tea then below is the template for you to copy. Just download and print it. There are several other websites from where you can download free paper cutting templates (Goole it). The printed side will be the wrong side so make sure you print the mirror image of the design. The design is cut on the printed side of the paper and once the other side will be the right side where no pencil marks or print will be visible. *Tip: Do not apply cream or moisturizer on your hands otherwise you'll end up staining your paper. I drew the fish with Pichwai lotuses especially for you all so that it is easier for you to start the paper cutting art with this easy template. All you need to do here is just cut out all the black or shaded part of the design carefully. 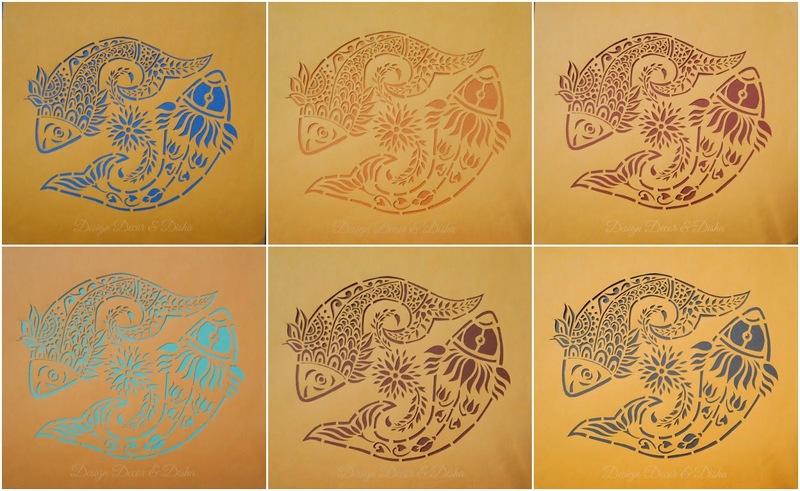 For the outline of the fish please draw one more outline as I forgot to click that picture and while cutting that outer outline leave some tabs too (Watch the video for clear instructions) Once you are confident enough to cut complex designs, you can start cutting the fish design with intricate patterns. All the instructions are given in my YouTube video above. Now place the paper on the cutting mat and hold the knife like a pen and try to keep even pressure. Enjoy the process and relax. Don't do it in a hurry. This process requires enormous concentration, patience and skills but it relieves your stress and you will love getting lost in it for hours. There's no set way to learn paper cutting art. Keep practising and you will learn it. For cutting straight lines you can use a ruler but for curved designs it is better to move the paper around. While making cuts hold the paper with the other hand for better control. Cut the paper deeply enough that it goes through the paper but not too deep. Remove the pieces of paper as you cut them out. You can use the blade's tip to lift the chip of paper and pull it with your fingers gently. If it doesn't come out easily then use the blade to cut the paper where it is stuck and then it will come out easily. 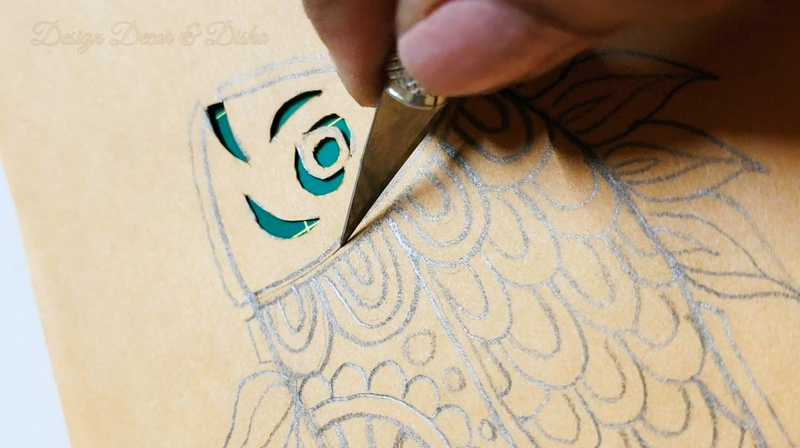 To cut complex and intricate patterns, cut as close as you can to either side of the pencil line. Do it slowly and enjoy every bit of the process. No matter how pro the artist is the blade sometimes slips and can sever the element of the design. Don't panic. Use either sticky tape to fix the element or use a chip of paper to stick on the tear. Once the design is complete, reverse the paper to reveal the right side of the design. Now either you can get the design framed as is pressed between two glasses or you can stick the design on the contrasting paper to make it more interesting. I have tried to place my paper cutting artwork on various colored papers and now I am totally confused about the right color background. Please help!! I hope you liked today's post In case you try to make this art then don't forget to share your creation with me on my Instagram or Facebook. I'll be coming up with more creative posts. Stay Tuned!! It is also known as poor man's bonsai. Recently, I tried to make Kokedama for the first time and I loved the fact that it doesn't require any pot to grow the plants. 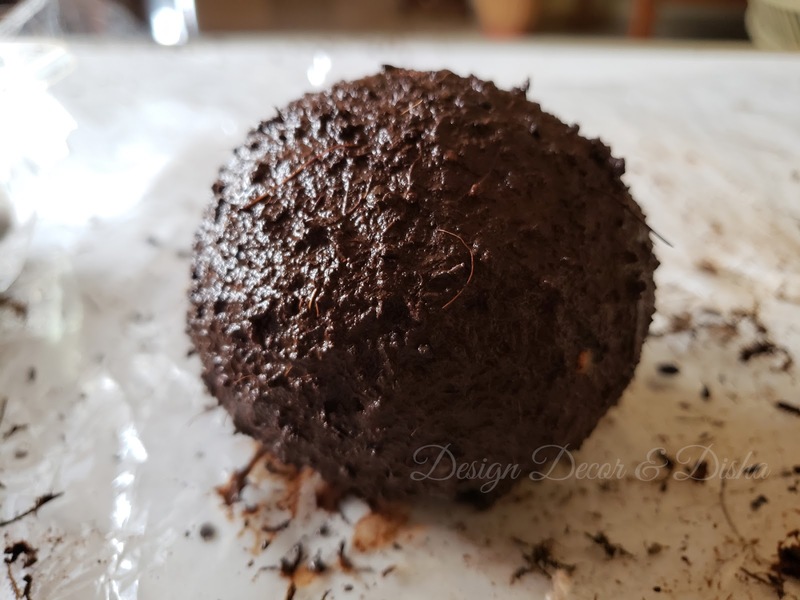 Just make a ball of soil and moss and grow tiny plants on it. Kokedama can be hung or kept on a desk or floor indoors as well as outdoors. To watch the complete video on my YouTube channel, you can click here. Instead of compost + Cocopeat + Soil, you can take just Bonsai soil + Coco peat OR Garden Soil and mix sand in a small amount. 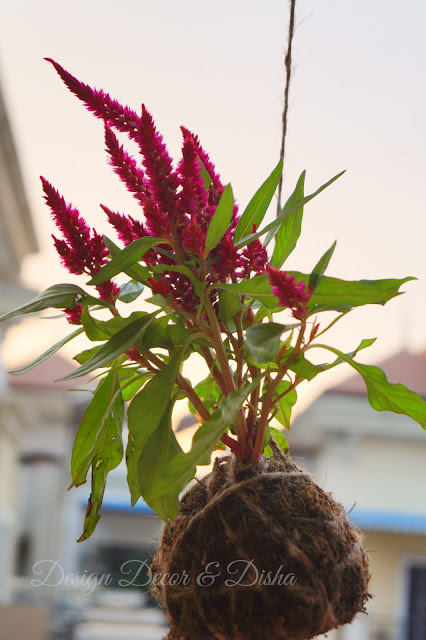 Instead of Sphagnum moss, you can use moss stick or coco coir or jute or anything that holds moisture for a long. Choose the plants that love moisture as Kokedama is a ball of moss that retains moisture. Basically, all the plants that grow on moss are perfect for Kokedama. Though you can experiment with all the plants. 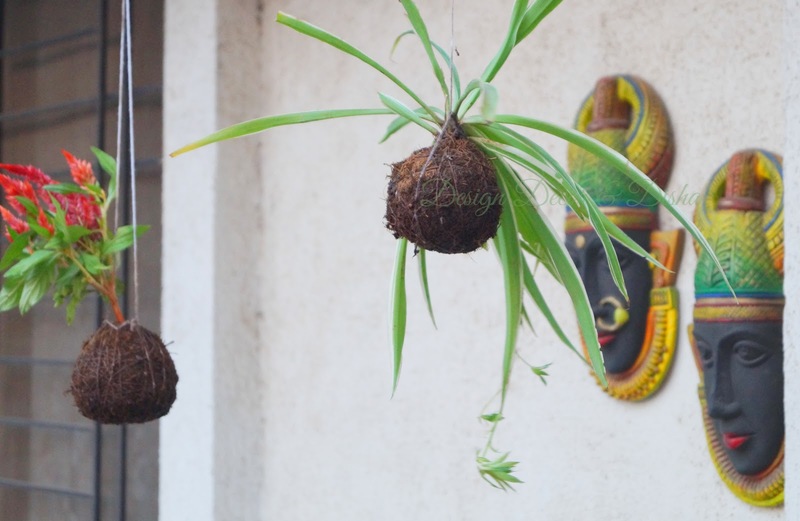 As long as you know the light and water requirement of the plants and hang them in a suitable place and water them accordingly, you can grow just about any plant on Kokedama. The best ones are Fern, Ivy, Lucky bamboo, Spider plant, Syngonium. Succulents hate moisture so avoid using them but if you are not watering Kokedama too often then you give it a try. 1. Start by soaking the moss in water. 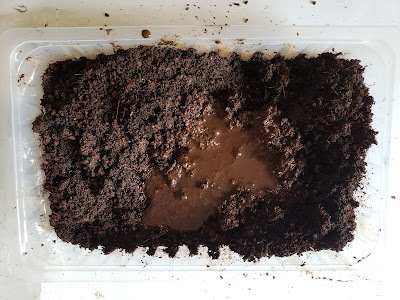 Till it soaks, mix all the components together(compost + Cocopeat + Soil) thoroughly and then slowly add water until all the components adhere together. Now take some soil in hands and form a sphere. Squeeze out excess water and once the soil ball is ready, keep it aside. 2. Spread a plastic sheet on the work area and then take out wet moss from the water. Wring it to remove water and then spread the moss on the plastic sheet. Remember that green part of moss faces down as later it will appear on the outer side of the ball. I didn't get Sphagnum moss sheet so I used moss stick and took out all the moss that it had. 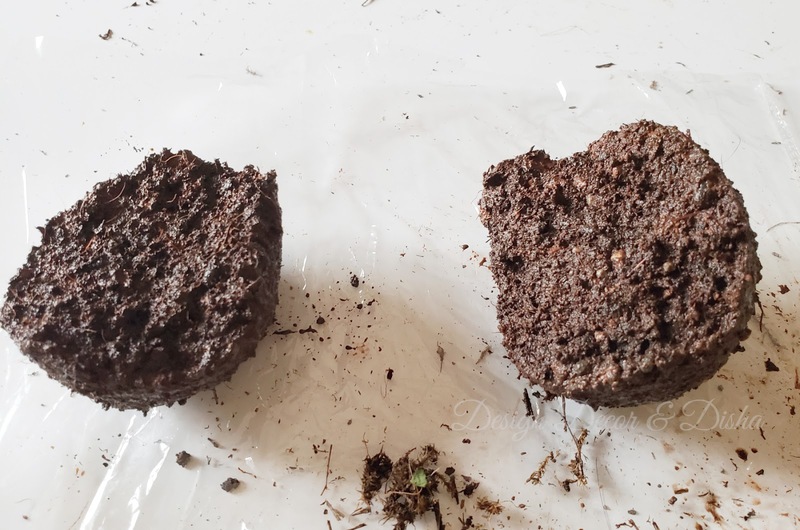 Though the moss was all dried and the moss stick also had a lot of coco coir inside but it really doesn't matter as moss is used because it retains moisture and that's what exactly coco coir will do too. 3. Now take out the plant from the pot. Loosen the soil around the root. 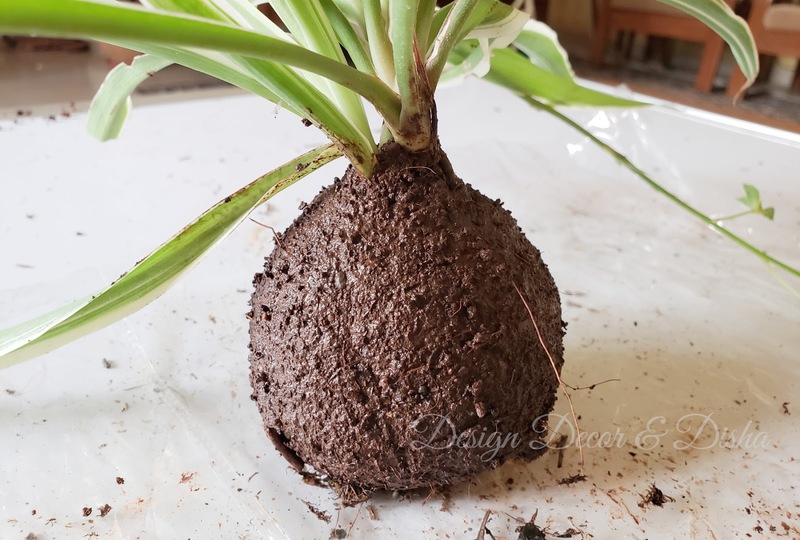 Make sure you are not damaging root ball or disturbing root system. 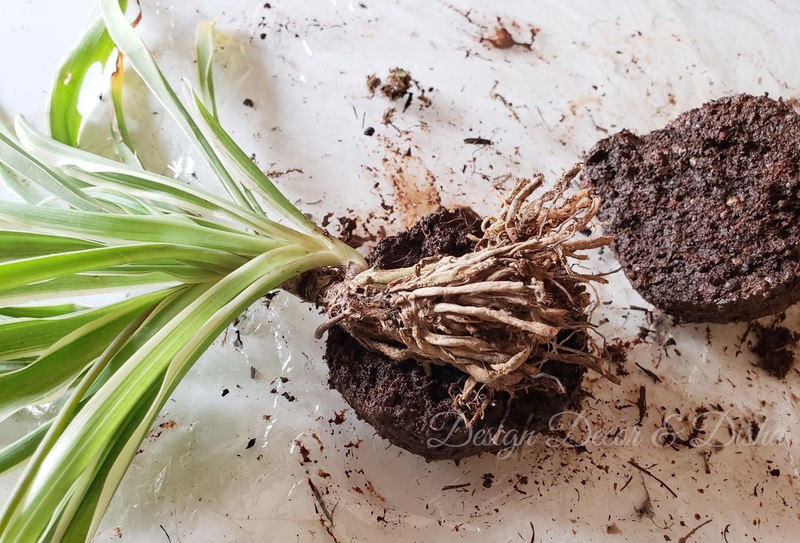 Now crack open the soil ball into two halves like shown in the image below and then place the roots carefully in the centre. Now make the ball of soil again and if required you can add some more soil at this stage to make a perfect sphere. 4. Place this ball of soil on the moss that we prepared in the second step. Gently pick up the plastic sheet from all the sides and press firmly to wrap the moss around the soil ball. Make sure that moss adheres to the soil ball. 5. Now take a twine or string and wrap it around the moss ball in a random fashion and secure the ends by tieing the knots. Now attach a string on the top of the moss ball and there you have it. 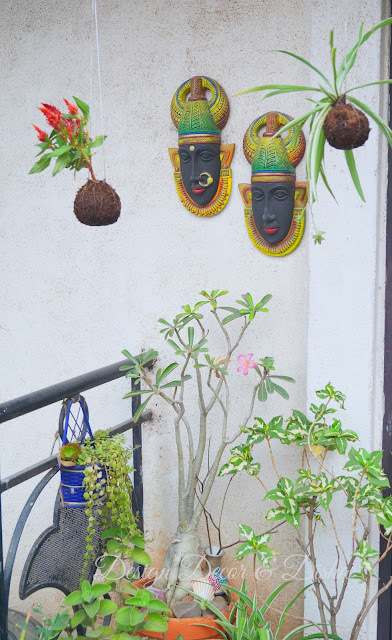 Kokedama is ready to enhance the beauty of your garden. To water Kokedama all you need to do is just use a sprayer and spray water until you see water dripping from the sphere. Or alternatively, you can place Kokedama in a bowl full of water for 2-3 mins and then take it out. Water Kokedama every alternate day or according to plant's need. If it is succulent then you can skip watering for 8-10 days. So making Kokedama is not a big deal. It requires minimal skill and very few supplies. I hope you like the tutorial. Be little more creative and try to make it different shapes, sizes and colours. Starting the post with a famous quote by George A. Moore, "A man travels the world over in search of what he needs and returns HOME to find it." How succinctly this quote captures the emotion of every home dweller. Home holds a special place in heart of its dwellers. Today I have a guest on my blog all the way from Dubai, Vineetha Ramchandran born and brought up in Dubai is a true blue Indian. 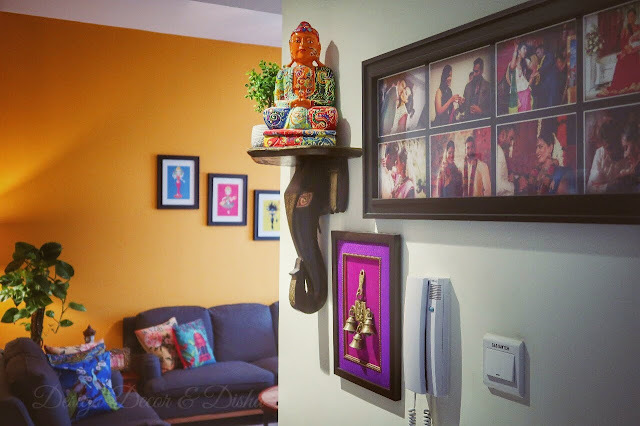 She is also a Buddha lover and loves to surround herself with loads of colors just like me and I am of opinion that "Law Of Attraction" worked and we got acquainted on Instagram and then she gave me a sneak peek inside her home which I couldn't resist sharing with you all. 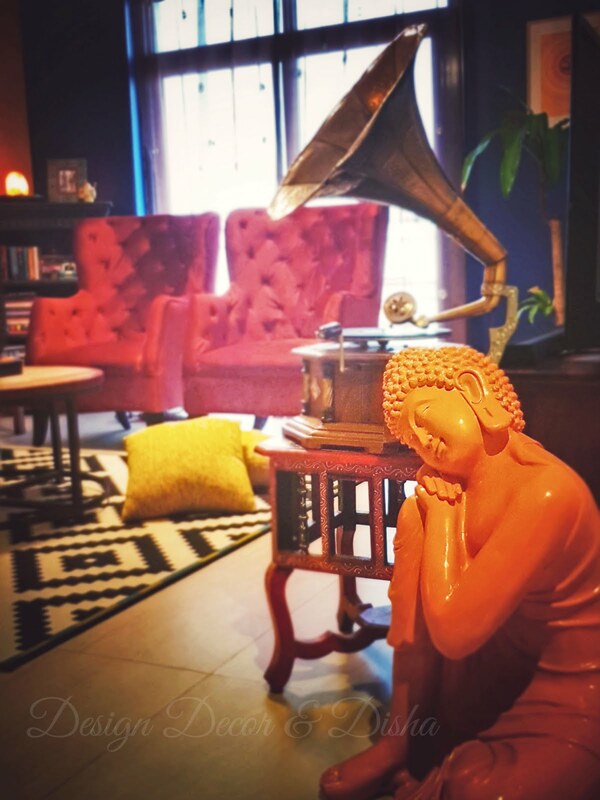 Recently she took the plunge and started sharing delightful images of her abode on Instagram @The Gramophone Diaries. 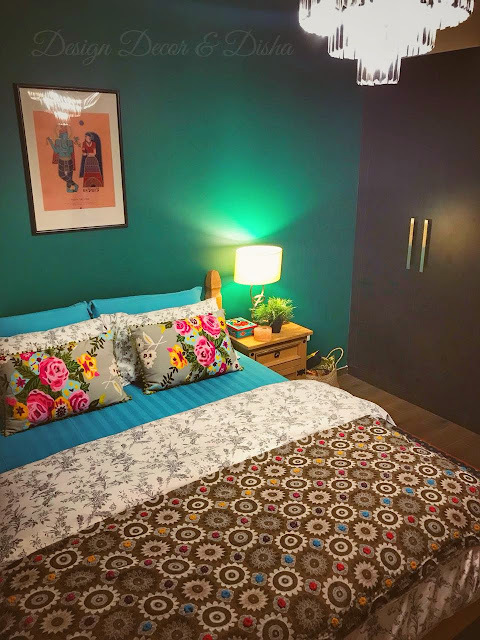 Though this home tour was supposed to go live ages ago but creating content for my YouTube channel is taking a toll on my writing skills and despite sitting for hours I couldn't write. So I decided to revive my passion for writing once again and now I'll try to post at least 2-3 blogs every month. Over to Vineetha now as she gives us a tour of her home revealing all the relevant facts. "As you know, I live in Dubai and working in advertising for the past 10 yrs. I share my home with my wonderful husband. I was born and brought up here. Like most South Indian families, my parents also enrolled me in everything from classical dancing to music to drama to arts. I believe this education in Indian arts has really shaped my outlook towards decor elements and especially color. Probably also why I am so attracted to everything that is boldly Indian. 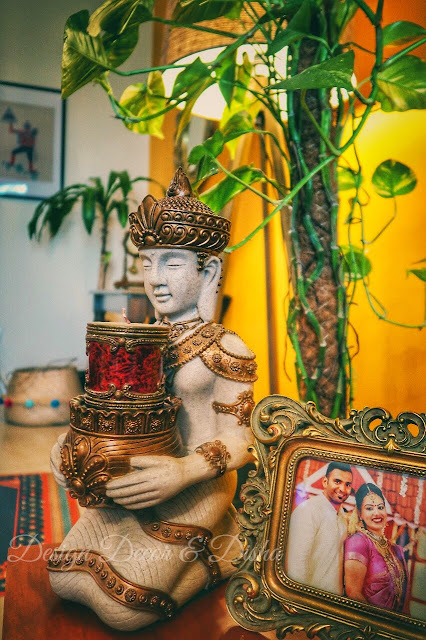 Majority of the decor accents are from travels. There are some that are from Indian vintage stores from down south." I love how Vineetha has embraced colors with open arms and mixed them masterfully without making the place look overwhelming. 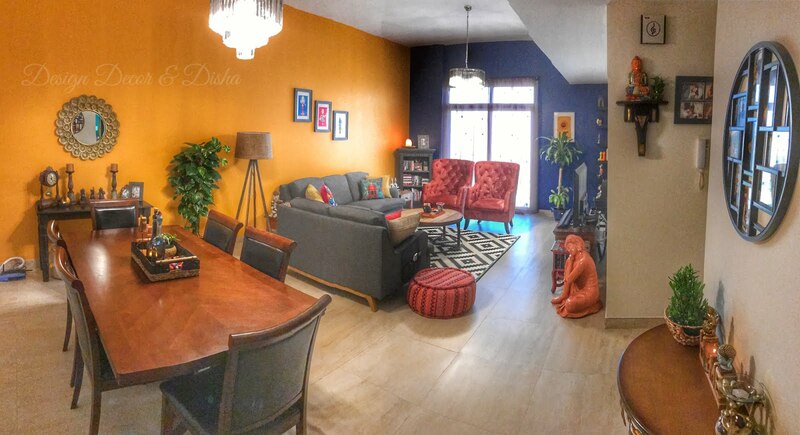 Cool blue happily mingles with warm orange and together they create positive vibes and cosy ambience. Accent pieces range from vintage to modern and traditional to contemporary. One such vintage piece placed on the rug can't go unnoticed. Further, Vineetha adds "I respect minimalism but it is definitely not my cup of tea (as you can probably tell :D). 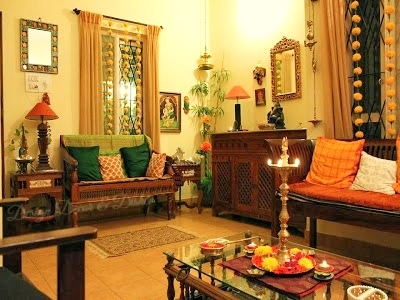 More is more and less is bore :D Hence everything at home is what I call collected clutter." "I am obsessed with colors. I have a thing for quirky and kitsch stuff and it runs across my house. I am not a huge fan of mass retail furniture homes and prefer to collect my accents when I travel. 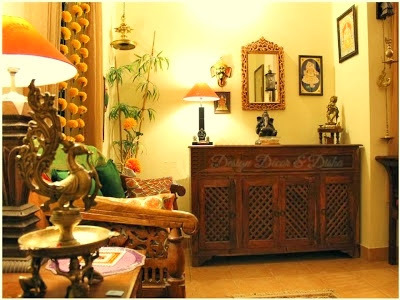 I believe every home needs to tell a story and mine is that of an eclectic enchanted abode." I can't agree more with Vineetha. When it comes to decorating a home we should showcase our personalities. Vineetha enthusiastically says, "I am supremely fond of Buddhas. I have about 7 just in my living room". And why not, when your life is too busy and contributing to yang energy then it is important to bring peace as calm yin energy will balance the active yang energy. Buddha is synonymous with tranquillity and hence placing Buddha can create a peaceful and relaxing atmosphere. 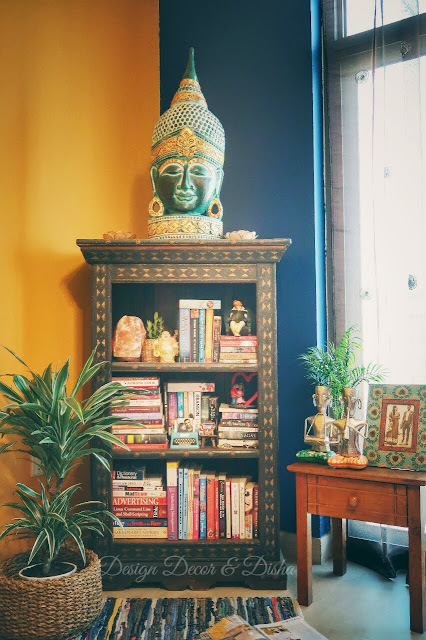 Vineetha has collected many vintage pieces. She says, "I love vintage looking frames". "The gramophone is my prized possession. We bought it from a vintage and antique store in a small town in Kerala." 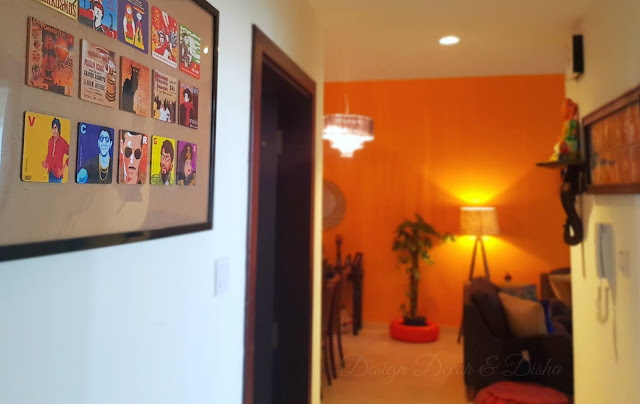 "The frame in the hallway is something that I made with my spare coasters (again obsessed with coasters. I collect them wherever I go)." 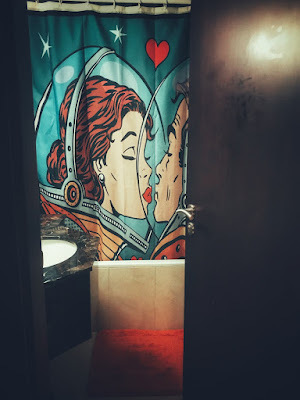 "The shower curtain in the bathroom is one my faves at home"
You can easily breathe new life in your space simply by placing beautiful cushions on the couch. Vineetha knows this trick well and says, "I really go and invest in my cushions. I check online, I look for unique pieces when I travel. Super like statement cushions or cushions with a story." 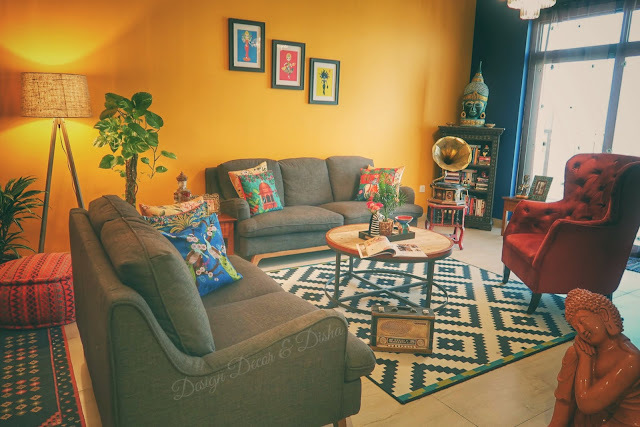 Her love for colors and patterns is quite evident in her home. 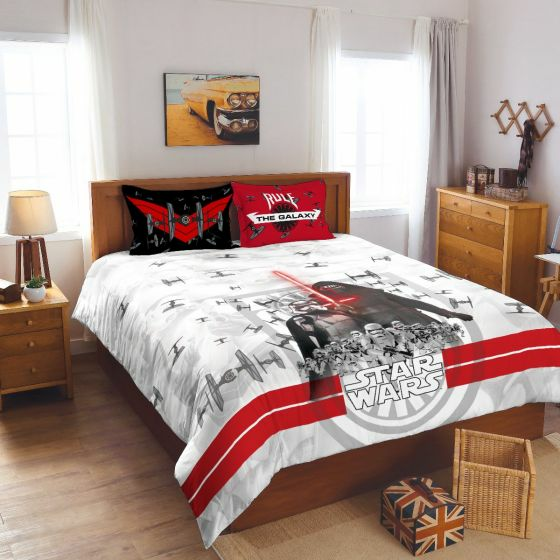 Here is an image of her bedroom that sums it up all. Colors that soothe senses and patterns that make me smile. With this, we come to an end of this home tour. Thanks a bunch Vineetha for letting us all take a peek inside your gorgeous, vibrant and aesthetically pleasing home. Wish you love, luck & sunshine!! That's all dear readers! I hope you enjoyed this post after such a long gap. The festive season is upon us and this is very exuberant time of the year. Monsoon rain has eased in most places and there a nip in the air. There is an excitement and enthusiasm in the atmosphere which is quite infectious. On this cheerful festive occasion, I have some easy tips and ideas to decorate your home to set the mood for festivities. Nothing beats the beauty of real marigold but buying them in abundance during festivities can burn a hole in your pocket. So here is a way to make your own marigolds provided either you have some time on your hands or you have some helping hands. Here's a video on how to make your own marigold (Audio quality in the video is not very good but instructions are clear). Now, what if you neither have enough time nor have any helping hand. Then the easiest way is to buy faux marigold strings that can be found in local markets and can be seen in abundance during the festivities. Though these are more expensive than real marigolds (4 feet long string can cost you anything between 70-90 bucks) but on the bright side, they are washable and reusable. So you can use them multiple times and can store them when they are not needed. I have seen some really good quality marigold strings online as well. These marigold strings create the perfect backdrop for festive decor. You can see the festive cheer added by these marigold strings in below images. In case you have got no time to make these hangings on your own then below are the links for you. Creating something by yourself brings unbeatable joy. The tealights in below image are made out of disposable cups. I already have a tutorial on this. Please click here for the complete tutorial. 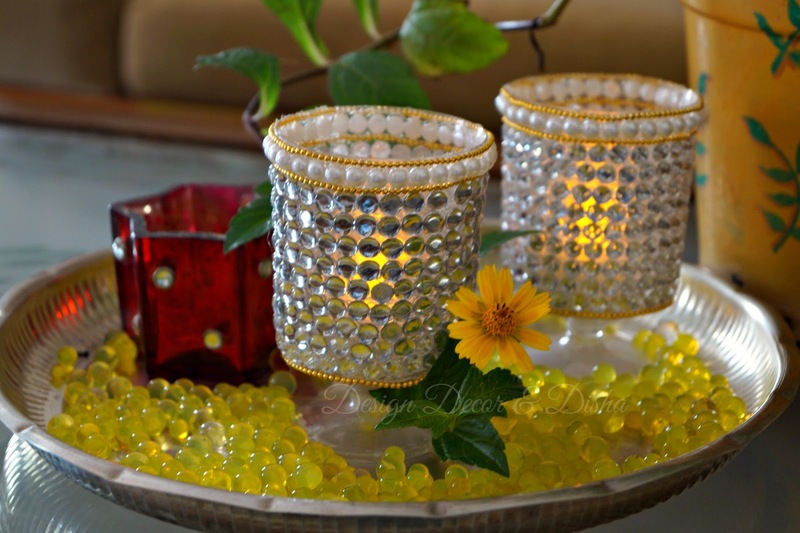 Here is how these glistening tealight holders create a warm ambience. This stone studded tealight holders are a perfect addition to your festive decor. 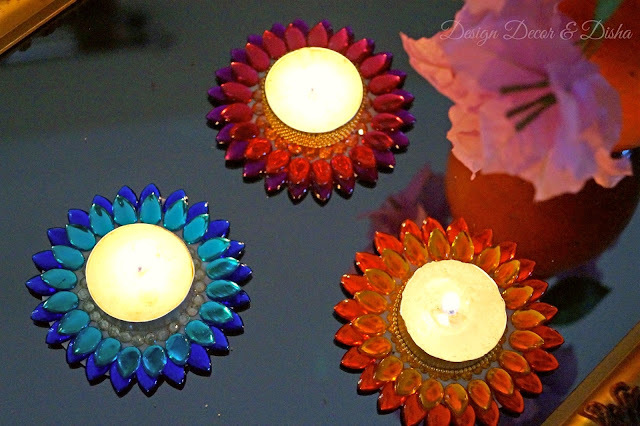 One more tealight that is super easy to make and demands less time is this lotus tealight. You can make them multicoloured, double shaded or in a single shade. The supplies you will need are acrylic stones, a cardboard or CD, hot glue, beads and tealight. Click here for the complete tutorial that I have already published. 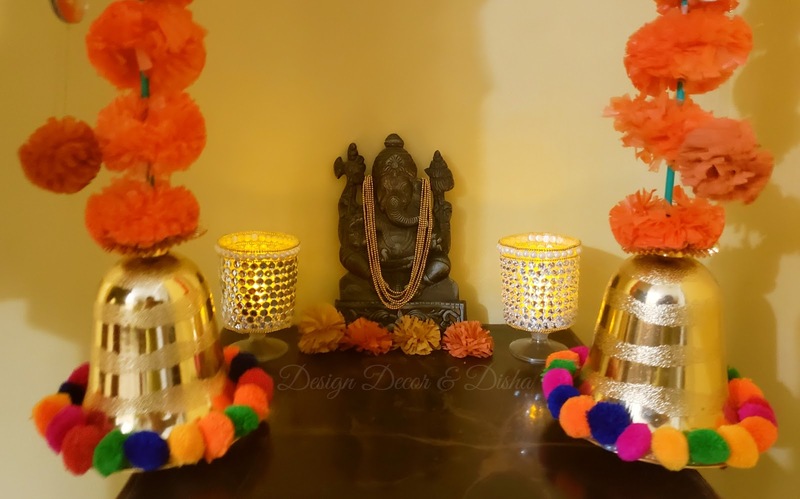 See how magical and divine these lotus tealight holders look. I hope you liked the tips and ideas shared here and will be incorporating them in your this year's festive decor. I'll be coming up with more such festive decor ideas. So stay Tuned!! reflects their rainbow personalities. Every kid has a favourite cartoon character and taking the cue from it you can choose a theme for their room. Some kids like Disney characters or superheroes, for some minions are the cutest ones, and some kids are obsessed with Star Wars, as is mine. My son loves Star Wars for obvious reasons because there are laser guns, strange monsters, spaceships, action sequences, memorable characters, and a unique plot. 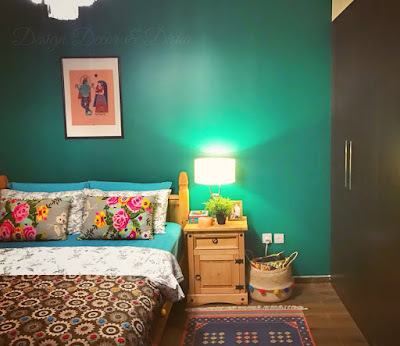 Decorating rooms in a particular theme is always fun to do especially when the room belongs to kids. 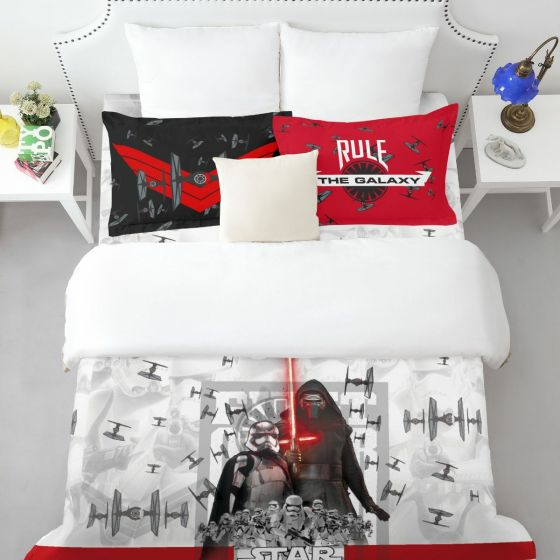 sheet to turn my son's lair into a galaxy far, far away. 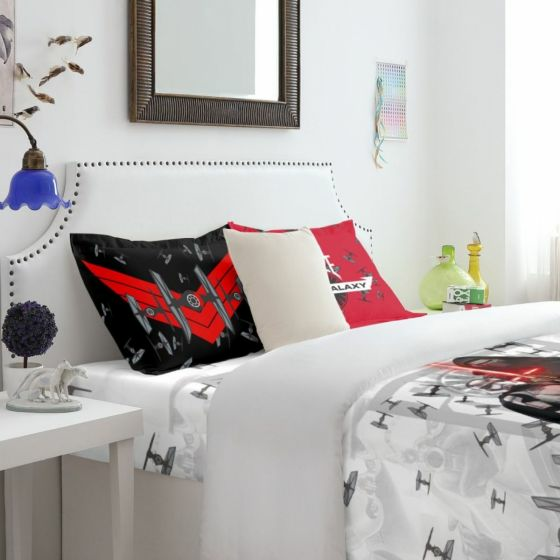 collection, and he chose this Black &amp; White with a pop of red Star Wars bed sheet. A great sigh of relief for me as the bedsheet has a very balanced and subtle look.